Since I've had my car the fuel has never displayed properly. If I fill up the tank, it will go to full. At the point of reaching a little bit under 3/4 is when it will start to do it's thing where it drops to empty. Sometimes it will go back up, sometimes it will just stay on empty(usually what it does). 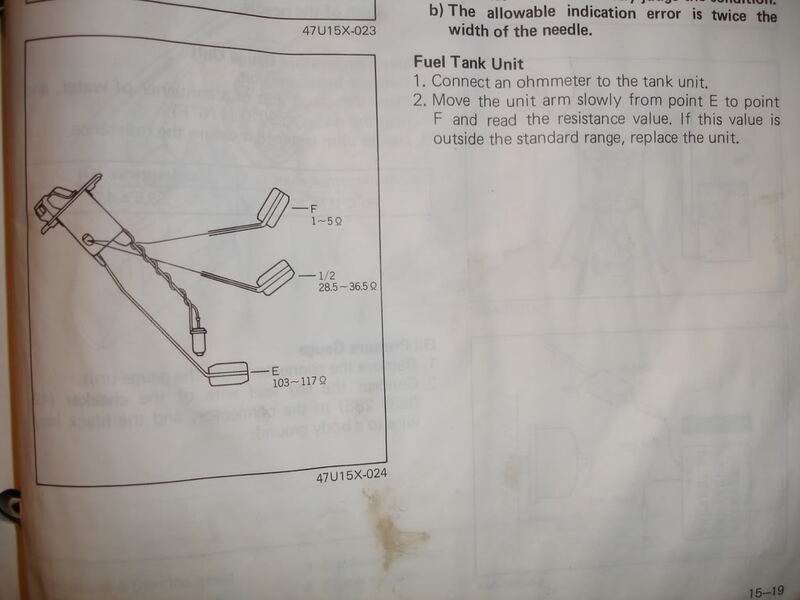 I've replaced the fuel sending unit once, but the one I put in was just laying around and no guarantee if it even really works. Someone told me if you don't slip the FSU in just perfectly and at the right angle, it might get loose or float around causing it not to be able to read the amount of fuel correctly, is this true? Should I try and buy another FSU from someone that knows it works and put that one in again with the utmost attention to detail on how it gets placed in? Take it out, clean the connector going to it and the connector on it then test the unit per the FSM. When I saw a sending unit go back, there was a little copper wire spool that a float went up and down on. The guy said he would fill up and show a full tank, but drive it down the road a bit and it would go empty. Turns out there was a slice in the copper spool of the sending unit. Forgive my lack of technical terms, but check to see if it is your sending unit. What precautions do you need to take in removing the tank and futzing with the sending unit? I'm an unashamed chickenshit when it comes to gasoline/vapors, and my workspace is shared with our water heater. I believe that you have to put it back exactly the same way and angle you took it out. What am I supposed to be matching up in the FSM exactly? Did not see or find anything about the FSU. here you go. 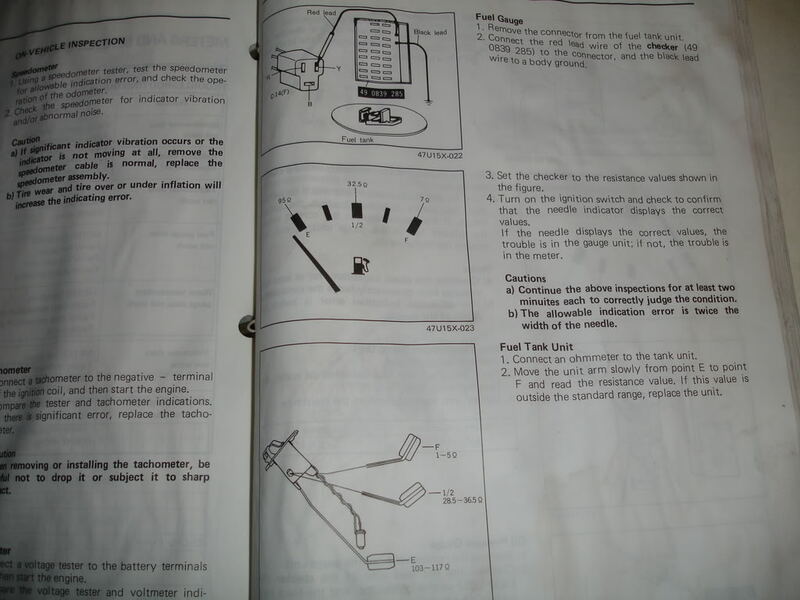 straight from the fsm..i can post a complete pics of the whole page that instructs how to test the gauge as well. So I need to remove the unit, connect an ohmmeter to it and follow those instructions correct? What are the values for the standard range? i would guess the standard range are the values specified. to me they're saying that if the resistance values are outside of those specified, replace the sender. lets say at the "F"/full mark you have 7-10 ohms, i would say per mazda guidelines, replace the sender. same would apply to the "E"/empty mark at say below 100 ohms or above 120 ohms, replace the unit. i would guess there is room for a smidge over or under, as the gauges are not spot on to begin with. I cant find anywhere in those manuals that your picture you just posted came from?? Maybe I'm blind.. which manual is it in? When I go to the link in rx7 doctor's sig titled Carb and FSM, it only show's three FSM's to choose from.. 1980, 1983, 1985. I'm assuming you're referring to the 1985 right? ahh I need one of those haha. No 1984 section on that FSM link. I will give that a shot when I can find an ohmmeter. any standard digital multimeter should work just fine. 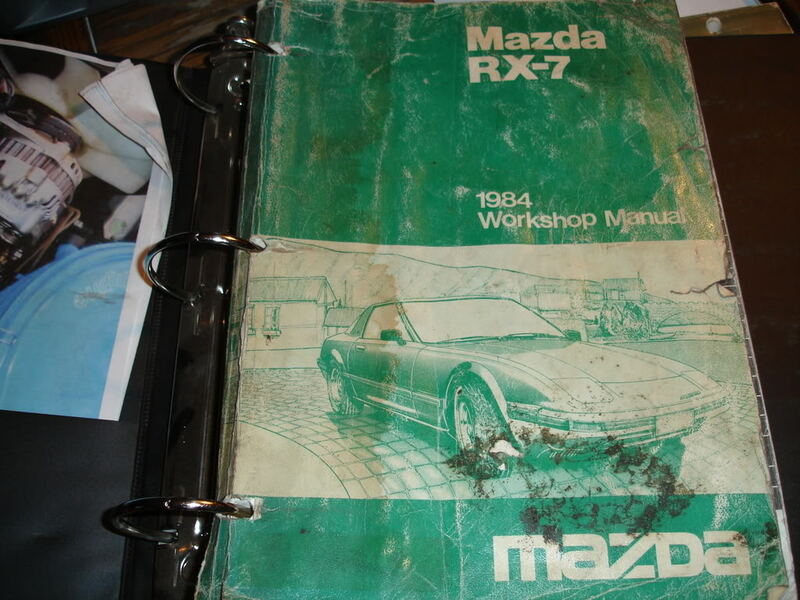 if you need anything else out of the manual feel free to ask. i can always take a pic and post it. keep us posted on your progress! make any progress on this yet? You can pick up a multimeter at the auto parts for 10-20 bucks. It's a handy tool to have around. You will need PB Blaster and an impact screwdriver to remove the screws holding the sending unit. Be prepared to drill and reptap the screws that snap off. I replace the screws with ss metric allen heads. Soak the bolts that hold the straps with PB too. Those are usually so corroded that I use an impact wrench to remove them. I'm with Cbz. I've been trying to use the 85 FSM for my 84. Are they close enough? Also, several threads indicate that you can access the sending unit through some plastic cover by the left wheel. I can not find any access to the sending unit on my 84 GSL. can any give better direction on the location of this access? Yes the 85 FSM will work for the 84. At the left rear tire towards the back of the wheel well will be a plastic protective covering that you remove. Behind that you will see the top of the sending unit that goes into the tank. I know this thread is old but I believe the problem is still current for many of us? So I just got an 82 and of course the fuel gauge did not work. So I bought a new sending unit as it is typically old, rusted, broken..and have my mechanic put the new unit in as he was doing other things on the car. I thought it would be an easy fix but here is what s happening : the gauge now goes up very very slowly, and stops at a third of the way between empty and full while I just refill yesterday and it should read full... Any idea why it would stop there and is it typical that it would go up that slowly? The unit looked new and in good shape but I did not test it prior to installing ... Any idea? Thanks! Nice bring back of an old thread!